Within the Anxiety Blob portion of the population, you will find a fair number of introverts. 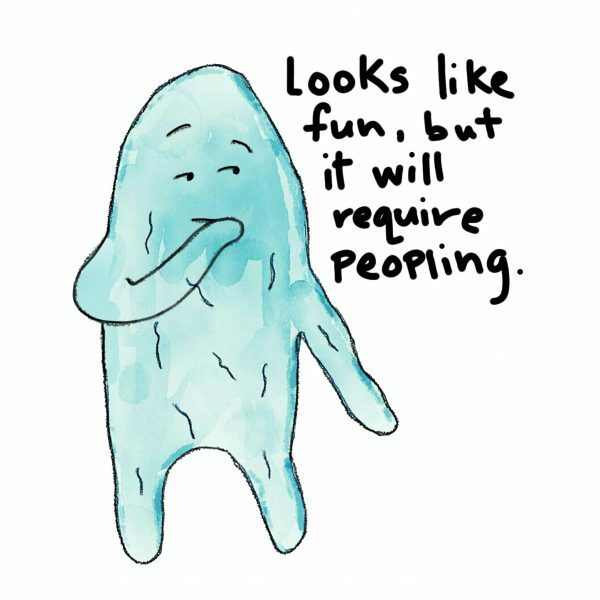 It’s tempting to conflate social anxiety with introversion, but that would be a mistake. Social anxiety is the fear of being perceived (and judged) negatively by others to the extent that it affects your interactions with other people and beyond that, your quality of life as a whole. Introversion, however, is a personality trait. 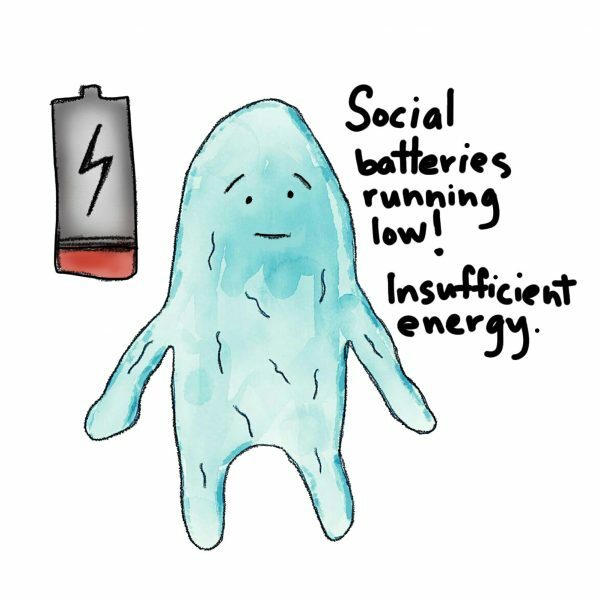 Many Anxiety Blobs are introverts, but not all introverts are Anxiety Blobs. Introverts are energized by quiet and solitude and though they may not be anxious about socializing, they expend energy when they are around other people. That’s right, even just being around other people can be draining for an introvert. Ask me sometime about the years I spent living in the highly populous city of Tokyo, Japan. I get tired just remembering that! 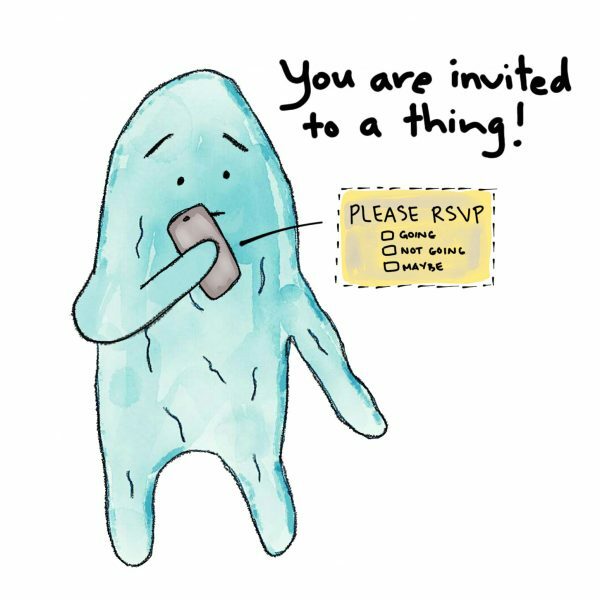 If you are an Anxiety Blob with introvert tendencies, a simple invitation to an event can present a challenge. Before responding, the introvert must make a quick assessment of the situation. Anxiety Blobs and introverts generally like people, but not in large groups or unfamiliar settings. Even people we love take energy, and we are usually happy to give that energy. 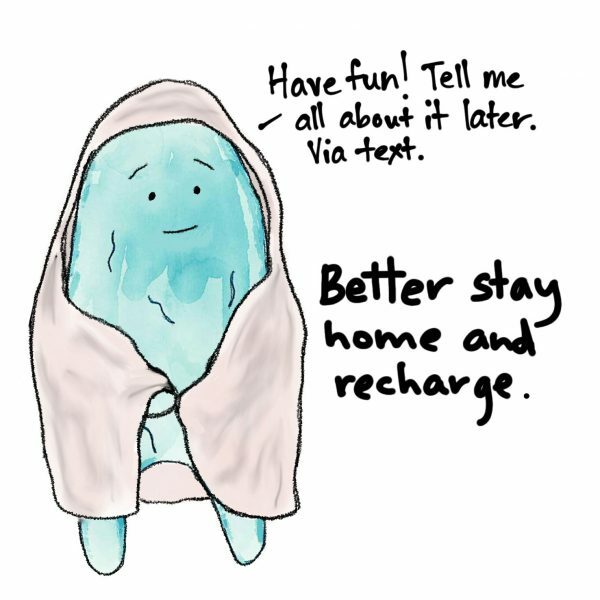 But we will need to recharge at some point. We sometimes feel conflicted about turning down invitations. If you have social anxiety, you’re afraid that your friends will think you hate them and will never invite you to anything again, not even their online direct sales parties. However, sometimes, it’s necessary to shut down for routine maintenance. For an introvert, alone is not lonely. It’s peaceful. And ultimately, taking care of your mental and emotional health is better for all your relationships, especially the one you have with yourself. You’ll be rested and engaged and ready to people again eventually. Plus, those Netflix shows aren’t going to marathon themselves, you know.